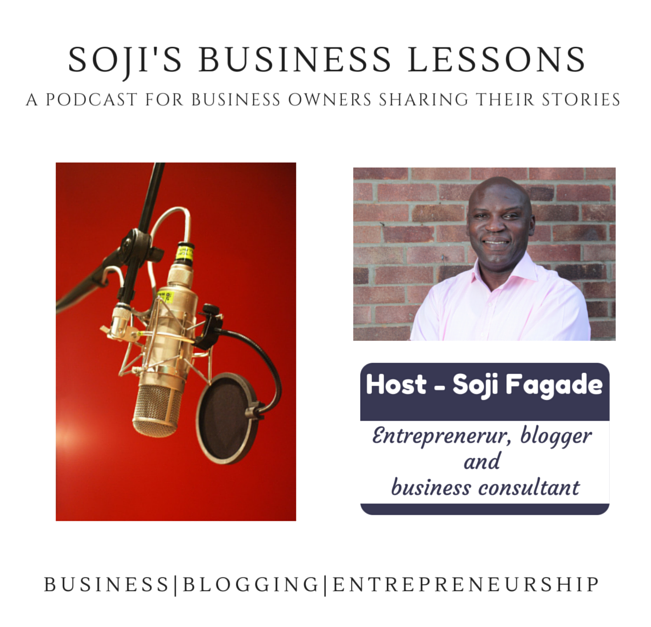 Soji’s Business Lessons is a podcast series I created to share business tips, useful advice and insights that can be applied to business endeavours and in some cases your personal life. My goal is to help you become the best entrepreneur that you can be and to take your business to the next level with sound advice and wisdom backed by my years of business management experience. From time to time, I will invite entrepreneurs and business leaders as guests on the program to share the insights gleaned from their own experiences. It is my hope that together we will learn more from each other than we could ever learn alone. If you enjoyed the podcast please consider leaving me a comment in the episodes. Don't forget to leave me a meaningful comment, Please also consider sharing with all your friends on social networks sites. Thank you and enjoy the shows.